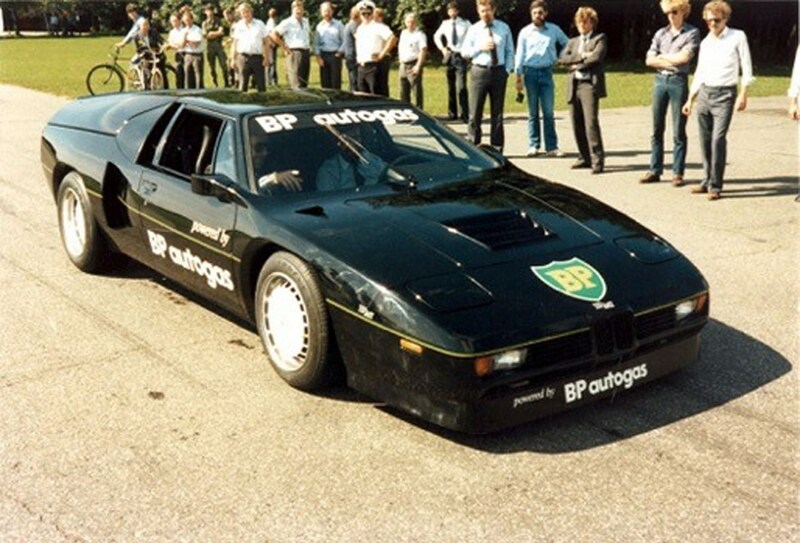 On October 17, 1981, racing driver and motoring journalist Harald Ertl piloted a specially prepared BMW M1 to a new speed record for a production vehicle powered by liquid petroleum gas (LPG) of 301.4 km/h (187 mph) at Volkswagen’s Ehra-Lessien test track. Less than seven months later Ertl was dead, and his record-setting BMW nearly forgotten to history. 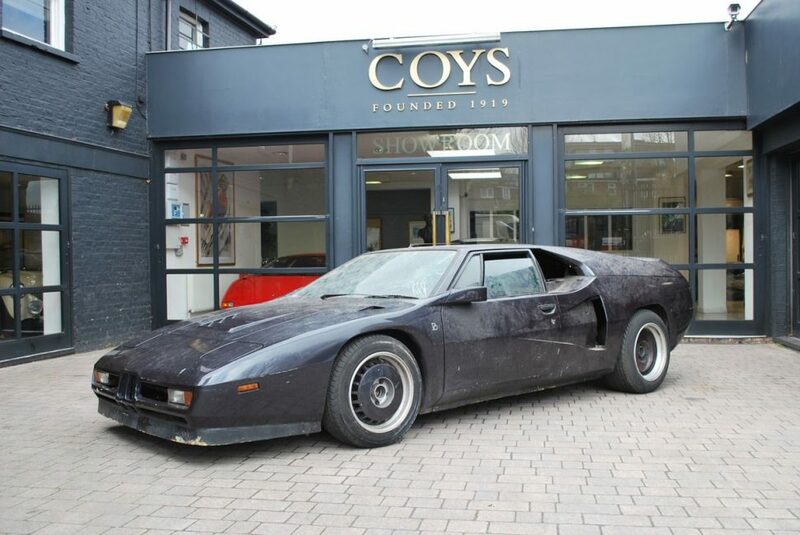 Weathered from years of outdoor storage and in need of a comprehensive restoration, this unique 1979 BMW M1 (one of two remaining with a Walter Wolf-designed body kit) will cross the auction block in Essen, Germany, on Saturday, April 13, part of the Coys Techno Classica sale. Ertl achieved reasonable success as he worked his way up the racing ladder, progressing from Formula Vee to the European Touring Car Championship, Formula Three, and by 1974, Formula Two, the stepping stone to Formula One. After a podium finish in a 1975 F2 race at Germany’s Nürburgring, Ertl landed sponsorship from brewer Warsteiner, enabling him to fund the leap to F1. His three starts that season yielded a pair of top-10 finishes, and for 1976, Ertl landed with Hesketh Racing. By then, the Hesketh team was struggling financially and devoid of its star driver, James Hunt, who departed for the McLaren team after the 1975 season. Overall, Ertl’s 1976 season was a disappointment, with just nine starts in 15 attempts, and a season-best finish of seventh place in the British Grand Prix. It was the rain-soaked 1976 German Grand Prix, held at the Nürburgring, that ultimately defined Ertl’s place in motorsports history. On the second lap of the race, Niki Lauda lost control of his Ferrari 312T2 — possibly as a result of a rear suspension failure — and went hard into the Armco barrier near the Bergwerk corner. His car burst into flames and slid to the center of the track, where it was struck by the Surtees of Brett Lunger and Ertl’s Hesketh. Neither Lunger nor Ertl were seriously hurt in the crash, and both immediately ran to Lauda’s aid, with the assistance of fellow drivers Guy Edwards and Arturo Merzario. Ultimately, their quick response saved Lauda’s life, and against all odds the 1975 F1 World Champion returned to the cockpit just six weeks later. Lauda repeated as F1 World Champion in 1977 and 1984, thanks in part to the quick and selfless action of Ertl and his fellow drivers. At the midpoint of the 1976 season, Ertl’s own F1 career had hit its apex, and though he ran a few races in 1977 and 1978, there were more retirements and did-not-qualify results than race finishes. He was more successful in the German Touring Car Championship, where he finished first overall in 1978, but 10th in 1979 and seventh in 1980. Then 32 years old, Ertl shifted his focus back to journalism, at least for a brief period of time. By late 1980, Ertl was working on a new motorsport endeavor with friend Gerhard Freudenberg: A speed record attempt that would emphasize British Petroleum’s latest environmentally friendly alternative to gasoline, LPG. BP was happy to sponsor the project, and as Petrolicious pointed out in a 2018 article, brands like VDO, Ronal, Blaupunkt, and Sachs were also eager to throw sponsorship dollars (Deutsche marks, actually) at the record run. 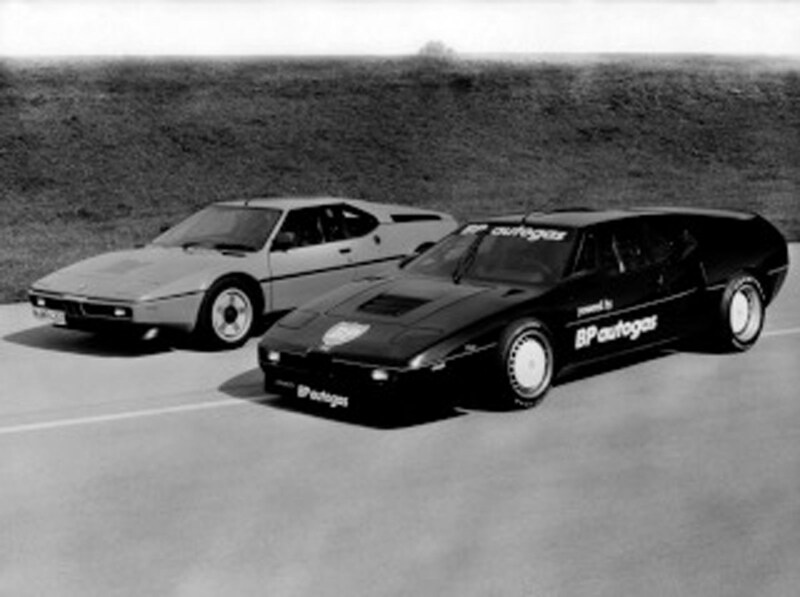 A used BMW M1 was selected for the effort, perhaps because of its futuristic looks and relatively high-performance, even in stock form. When fueled by gasoline, the double overhead-camshaft, 24-valve, 3.5-liter inline six-cylinder engine produced 277 horsepower, good enough to propel the M1 from 0-60 mph in 5.5 seconds, on the way to a top speed of 160 mph. Except that Ertl’s record run would be made with LPG instead of gasoline, requiring modification of the M88 engine to run on the new fuel. In stock form the car wouldn’t be capable of besting the existing 300 km/h LPG record, so a pair of turbochargers was fitted to bump output to an estimated 410 horsepower, though this may be on the conservative side. A knob in the center of the dash allowed Ertl to alter the amount of boost pressure delivered by the turbochargers, permitting him to gamble with a blown engine if additional speed was needed. Ertl’s M1 in its record-setting livery. The body kit fitted to the M1 was reportedly designed by former Formula 1 team owner Walter Wolf, though it isn’t clear if this NACA duct bedecked, rear-heavy bodywork was created specifically for Ertl’s record attempt or as a follow-up to his earlier Walter Wolf Lamborghini Countach. 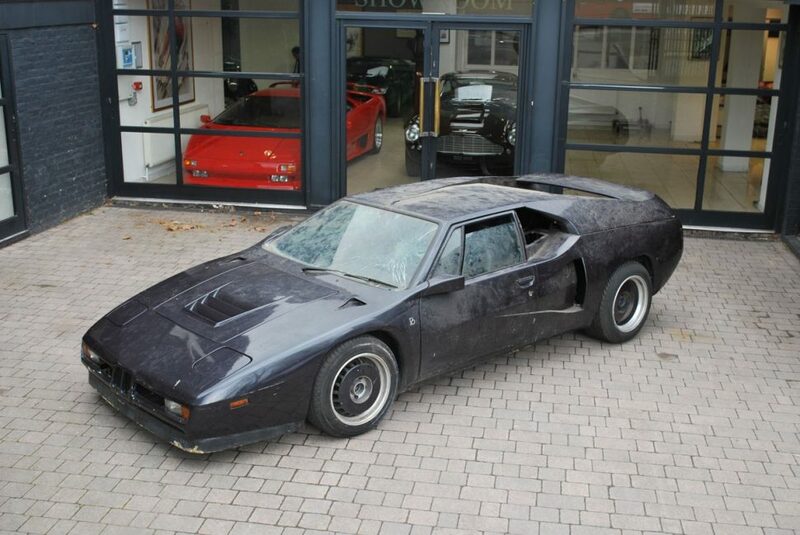 Three such M1s were constructed in the early 1980s (matching the number of Wolf Countach models), and of these, the Ertl car and one other survive today. Ertl’s record run came without FIA sanctioning or supervision, and thus never made the record books. Perhaps it was a dry run of sorts, with Ertl intending to back it up with an official pass later on, as long as the sponsorship money remained available (though BP soon abandoned the idea of “Autogas” filling stations and LPG conversions). The stunt rekindled the Austrian’s love of speed, and in 1982 Ertl intended to make his return to competition in the Renault 5 Turbo Cup series. It wasn’t to be, and Ertl died in a small plane crash on April 7, 1982. Compared to a stock M1, the Walter Wolf bodywork was lower in front and higher in the rear, perhaps to add rear downforce at speed. His record-setting BMW M1 found its way into the inventory of a German Alpina dealer, and circa 1984 was traded to Dutch Alpina dealer Piet Oldenhof (whose stylized “PO” initials adorn the car’s fenders to this day). The BMW proved to be a hard sell, and in 1988 was damaged during a test drive, requiring replacement of its M88 engine. 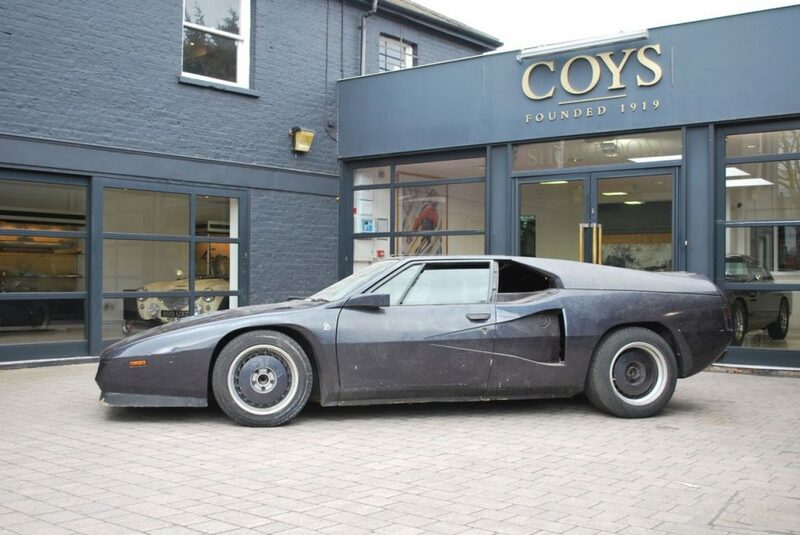 Oldenhof sold the car at auction a year later, reportedly to a group of Japanese investors, but by 1993 the BMW ended up in the inventory of an English car dealer, where it was acquired by pharmacist Pummy Bhatia. Bhatia died just two years later, leaving his wife to deal with the business, their family, and a modest collection of cars that lacked indoor storage. For a number of years the BMW was parked on the street, falling into disrepair and gathering a number of dings and scrapes. Later, it was loaned to the Midland Motor Museum, where it was also kept outside, before being returned to the Bhatias circa 2005. Since then, the M1 has reportedly been stored indoors, but time has not been kind to it. 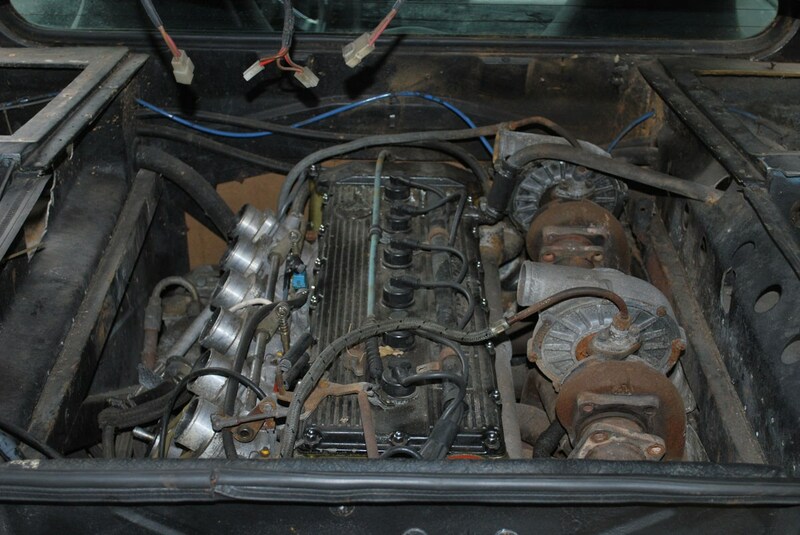 The engine is missing the airbox and plumbing associated with the turbochargers, which may or may not be functional after 24 years of neglect. 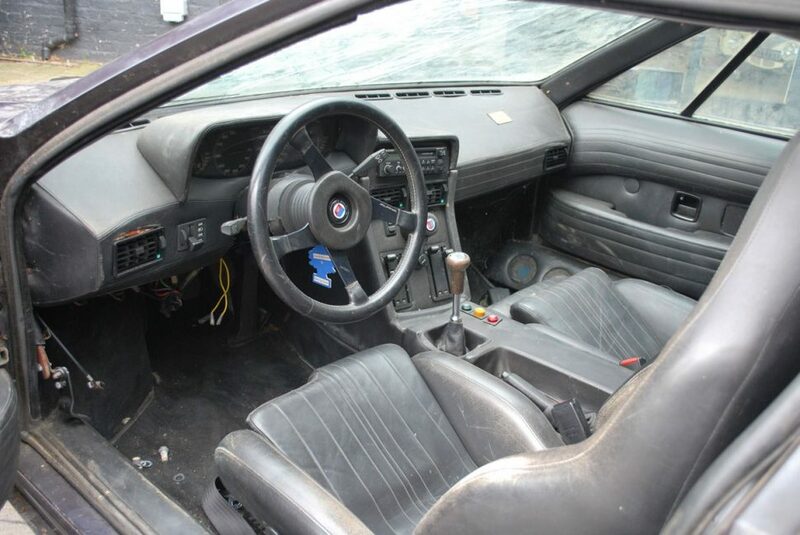 Much of the interior looks to be salvageable, as does the body, but it’s clear the car will require more than minor restorative work to return to the road. That aside, for the right BMW-focused buyer it represents a piece of racing and brand history that can’t be found anywhere else. Coys has not provided a pre-auction estimate for the lot. The Techno Classica auction takes place at Messe Essen in Essen, Germany. For additional details, visit Coys.Co.UK.